I know this tutorial might come a bit late, but Christmas decoration came earlier this year with the Home Depot Holiday Style Challenge. Now that that’s done, its time to enjoy what’s left of Autumn. 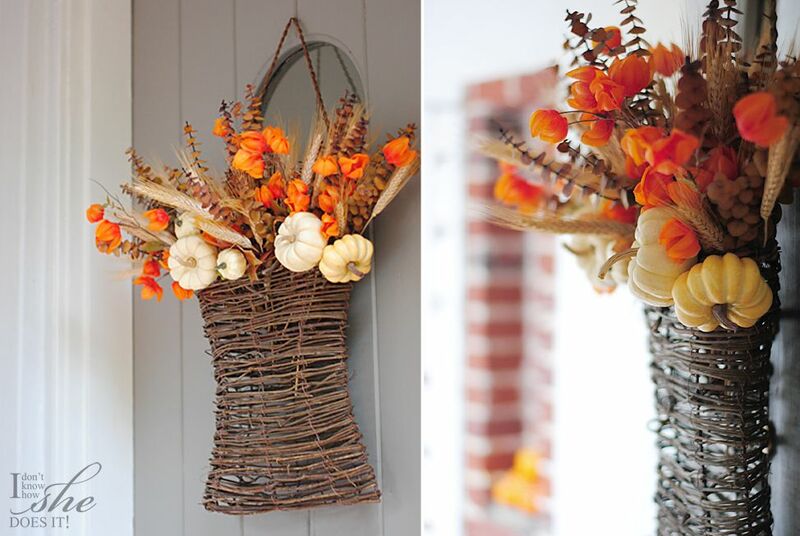 Today I’m sharing a simple harvest front door decoration that only took me less than an hour. Most of the materials are available at Jo-Ann (with the exception of some of the tiny pumpkins). 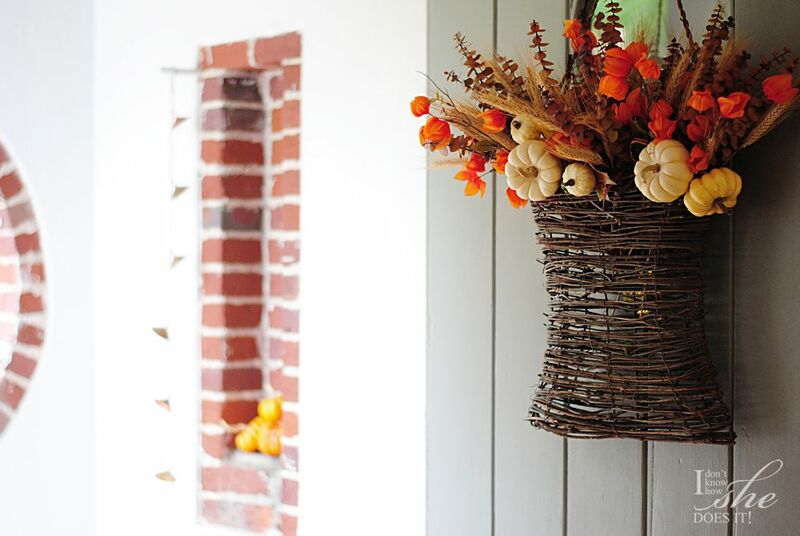 For this project I used a big grapevine basket, dry wheat bunch, eucalyptus, faux and real tiny pumpkins and faux Chinese lantern flowers. 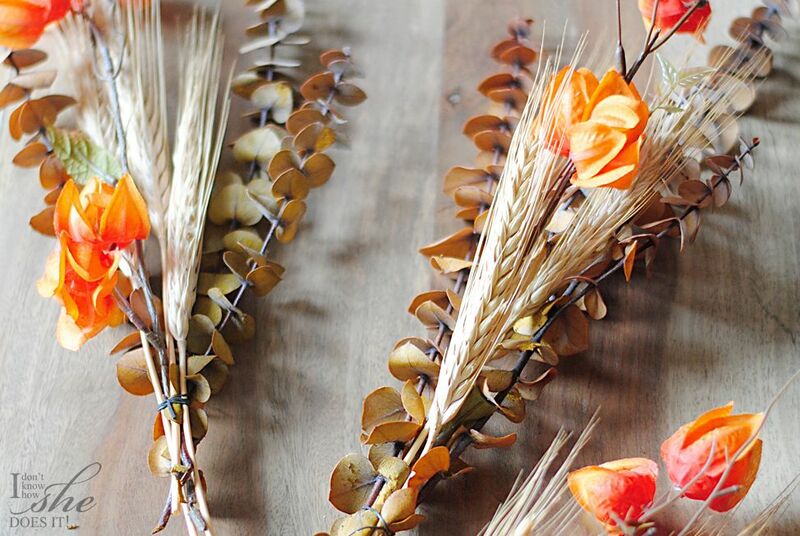 Having all the materials set over my dinning table for an easy access, I started making small bunches that consisted of wheat (3 pieces), eucalyptus (3 branches) and the Chinese lantern flowers (1 branch). To keep them together, I tied them with a black rubber band (loom rubber bands… but, shhhhh! my girl would not approved if I asked). By mixing in this quantities I was able to create a balance when I settle the small bunches inside the basket. To make the arrangement, I place each small bunch inside the basket and intertwine some of the branches between the grapevine (making sure that this part looks to the door). After placing them all, I had some wheat and eucalyptus left which I also use to cover some blank patches. 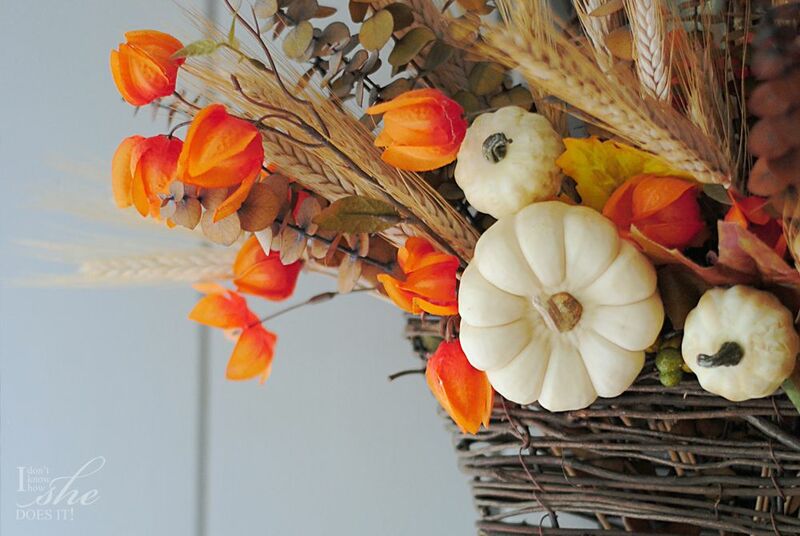 To decorate this basket I use 2 tiny pumpkins from +Trader Joe’s, and the rest of the decorations were all faux (including the leaves). I love how this arrangement brings life to my gray door and the best thing is that it seems as if I went into my garden to gather all these plants. Wouldn’t you agree? 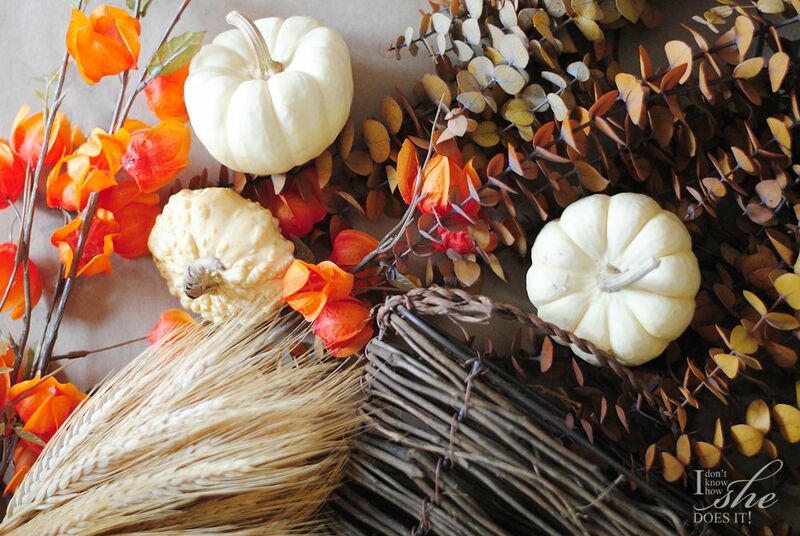 How are you decorating your front door for Fall? I would love to know you better so don’t hesitate to leave me a comment!